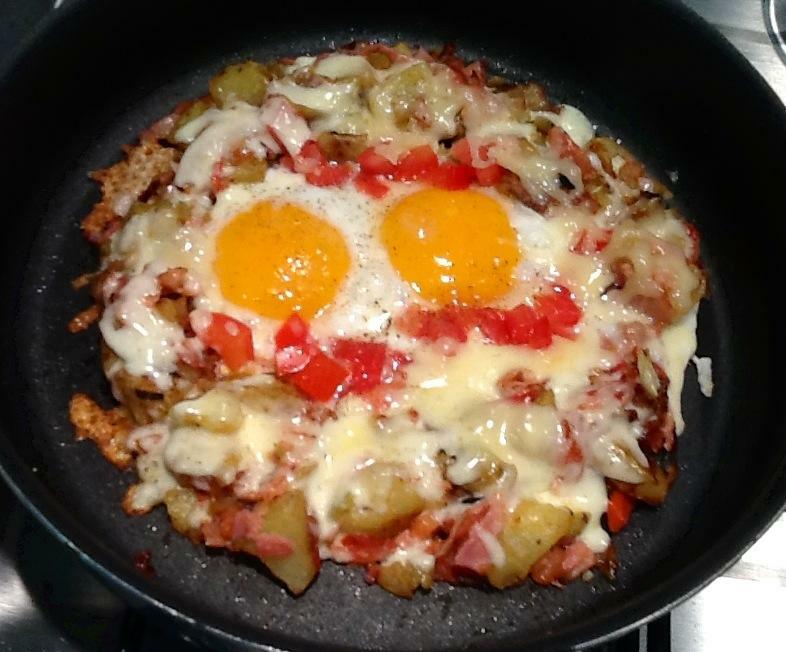 Easy breakfast with home made hash potatoes and eggs! 1/4 c chopped ham…or bacon…or whatever you have on hand! once browned on both sides, spread potato mixture so there is a hole in the middle to pour your eggs into, forming a “nest” if you will. Then, carefully remove and put on a plate and voila!!!!!!!! Breakfast Skillet in a Jiffy!!! 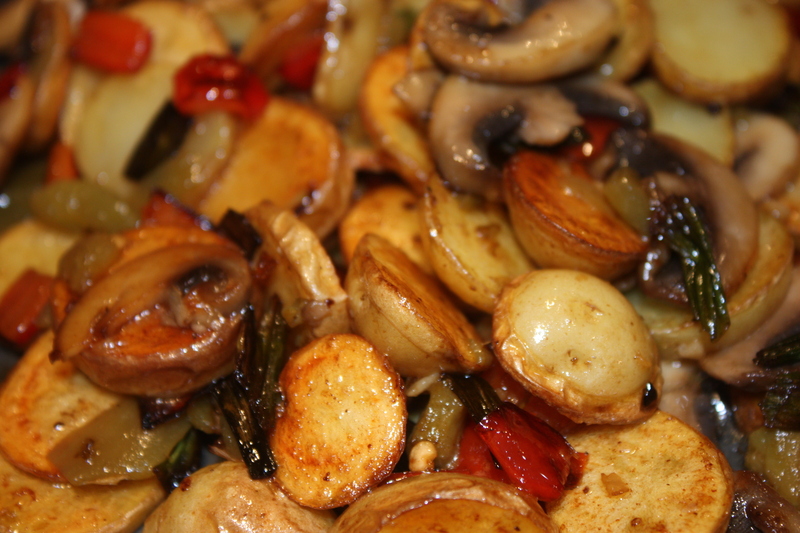 Grab some bacon grease or olive oil, slice some potatoes…then add some peppers and green onions for color, mushrooms, green chilies, seasonings..cheese and an egg….voila!!! Infact, add whatever you please…..!!! This is quick AND EASY!!! Go For It!!! Come on…it’s a weekend morning and you don’t want to do the same ‘ole…same ‘ole..!! You open the fridge, pull out the eggs and think…hmmm…let’s try something different this morning!! So, then you reach for tomatoes, avacados, whatever cheese is available to shred…and then, opening and closing draws you see something in the “salad” drawer that piques your attention… arugula…hell, why not!!! You’ve now got the makings for “spicing” up the “same ‘ole” poached eggs!!! Now, watch the video…get everything organized…that means get everything on the counter and ready to go!!! Get the water boiling, turn on the broiler, slice the tomatoes and avacados, shred the cheese…and go for it!! !